In the mid-1800’s, a score of residents of East Lyme’s southern village of Niantic, weary of making the trip to the northern village of Flanders for Sunday worship, desired a meeinghouse closer to their homes. 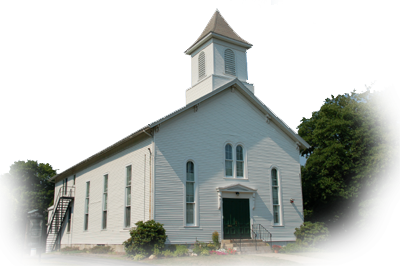 The Church was founded and the original sanctuary built in 1843. This building burned in 1866 and was replaced the following year. 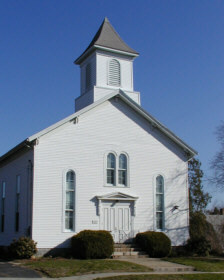 A fellowship hall was added in 1959; another fire in 1964 provided impetus for further renovation. A handicap-accessible ramp was built in 1982. A double cupola once graced the roof, but this was blown off in the 1938 Hurricane, and replaced with the current single cupola bell tower. We officially incorporated in 1905, although we had already joined the New London Association of American Baptist Churches in 1869. In 1953 we ordained the first woman pastor in the Connecticut Baptist Convention, Edith M. Northrop. Two of our members, the Rev. Ed Bradley and Lloyd Beachy, have served as presidents of ABCCONN. Baptisms were conducted yearlong at the beach on Niantic Bay, or in the Niantic River, until 1894, when a baptistry was installed. Today, we still enjoy requests for baptisms at Hole-in-the-Wall Beach.